If you are contemplating getting transdermal hair restoration, stop in or call to find what the best method is for you! Hi, my name is Katheryn Foxx from Kiss Country 96.5 FM and I love my new hair! It’s long, think and lush. I got my hair extensions fat the Hair Connection. My hair is very fine, thin and doesn’t grow fast. I’ve always wanted longer hair but I didn’t know I could actually have it! The hair extensions are gorgeous. I am in the public eye a lot and the new hair gives me more confidence in my looks. I feel younger and prettier. It looks fuller and is more flattering. It looks natural and everyone thinks it’s my own hair. When I visited my sister, she commented on my hair growing longer – she couldn’t believe that it wasn’t mine! I get lots of compliments on my hair now, I love my hair extensions so much; I wouldn’t want to live with out them. I love the new me. I would recommend getting hair extensions from the Hair Connection to anyone. I have been coming to The Hair Connection for almost four years. Peggy and her staff are wonderful to work with. They are very professional and respect your confidentiality. 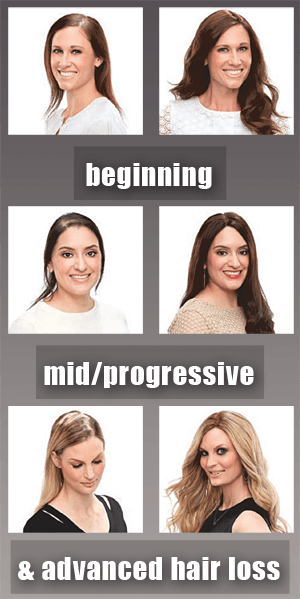 When I first contacted The Hair Connection, I knew nothing about the types of services they offer. They took the time to explain everything and presented different options. They didn’t pressure me into anything, just made suggestions as to what they thought would work best for me. I am so glad I decided to purchase my first unit! I was skeptical about how it would look and feel. No one can tell that it’s not my real hair. 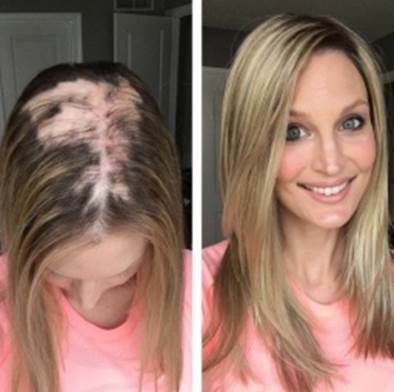 I would encourage anyone who is experiencing hair loss to contact The Hair Connection. I have found the stylists to be talented, always pleasant, and technically up-to-date. Their professionalism is extend to me in an almost team-like way, working with me to answer my questions and listen to my suggestions; all done in such a manner to help me look my absolute best. They have always been interested in what I have to say, seeking my input and working with me. If I have any questions or problems during or between sessions they are ready and willing to listen and guide me toward an answer. The styling studio is always immaculate. I’m very pleased with the wide range of products offered at The Hair Connection. The staff’s product knowledge aids me in choosing the right ones to help me look my best between stylings. Stop in today to get your FREE consultation.